Hype vs. Results: Democrats Underwhelm in Texas. Again. Ted Cruz currently has more votes in an *uncontested* GOP primary than every Democratic candidate in the Dem TX-SEN primary combined. Folks, Cruz is going to win in November. Unless he's been found Roy Moore-ing after 13 year olds in the local shopping mall. One place where relying on available data can mislead you. Texas tracks EV, but only in the 15 biggest counties. Dems led by 40K. SoS now reporting that Dems had 562k early votes statewide. GOP? Over 800k. Why? The **other** 240 counties in that state! Oh. In any case, it would be insane for Republicans to gain a false sense of security from primary outcomes in the largest red state in America. The midterm elections favor Democrats, based on history and intensity. 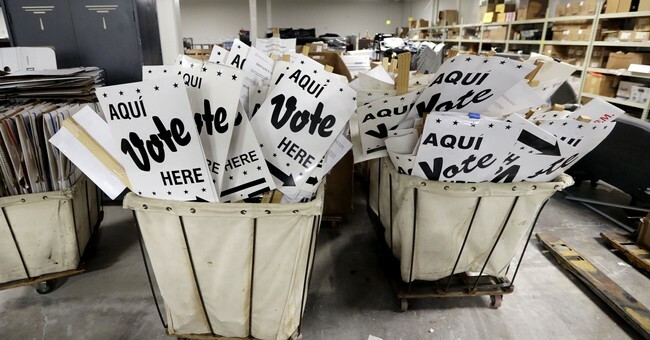 But Tuesday was just the latest reminder that Democrats' designs to flip Texas blue is still much, much easier said than done.